When my sister married and her new hubby carried her off to Michigan, I remember the white metal bed that graced their master bedroom. I wanted that bed. Badly. 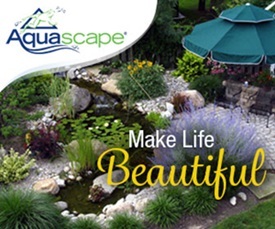 The desire stuck with me for many years and prompted me to purchase a white wrought iron daybed for my daughter Bridget when she graduated from her crib. Bridget has since grown up and moved out on her own (she’s the daughter who recently had a baby), but my love for a beautiful metal bed remains. Today I’m sharing a collection of 9 metal beds to dream in! After all your holiday planning, cooking, and shopping … I’m sure you’re ready for a nap or two … and here’s the perfect place for sweet dreams! 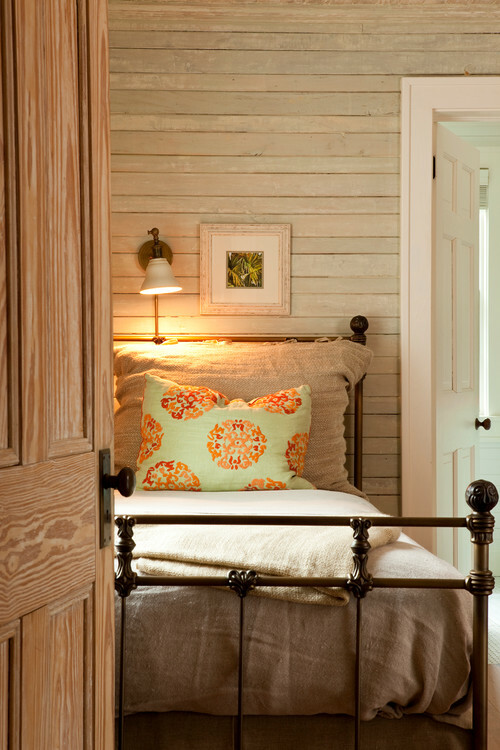 The rustic antique bed pairs beautifully with the plush bedding in this farmhouse bedroom. The floral pillows and bird print above the bed lends a slight hint of femininity to the space. The metal bed is clearly the star of the room. 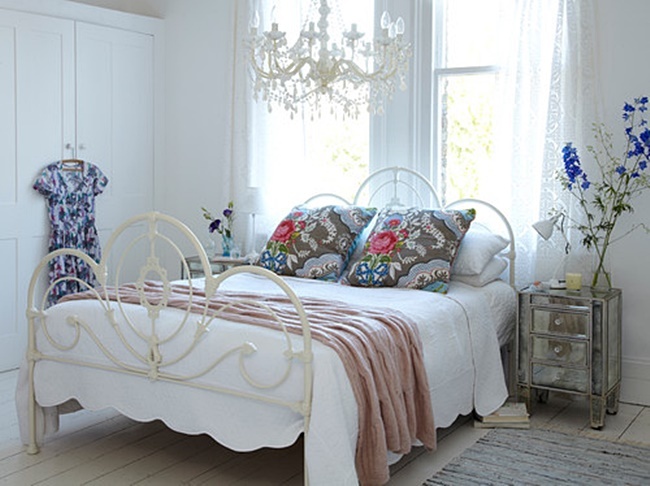 Ahhh … here’s a white wrought iron bed reminiscent of the one my sister slept in. Once again, floral pillows add softness and color. 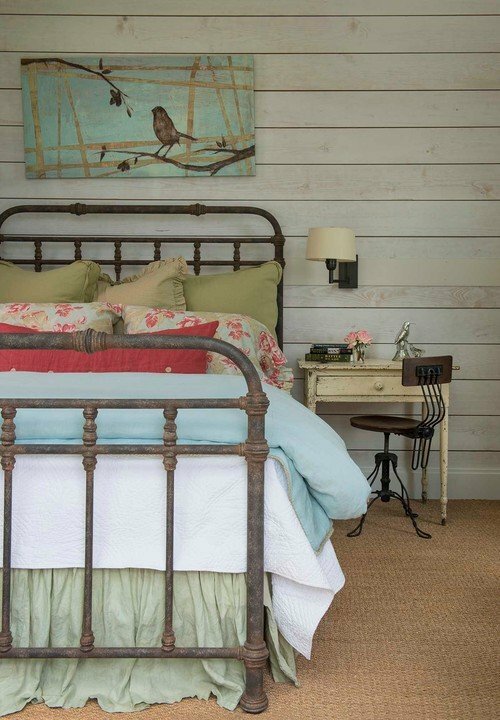 Even in a rustic farmhouse, a metal bed adds a bit of elegance. A brightly patterned pillow adds interest to the cushy bed. 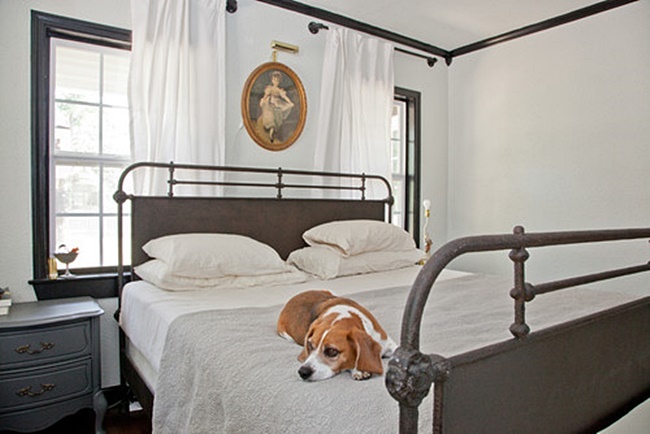 A simple metal bed is the perfect touch to a farmhouse bedroom. Patterned quilts and rugs underfoot add texture and warmth. The simplicity of the decor is enhanced by the bed with its straight, no-nonsense lines. 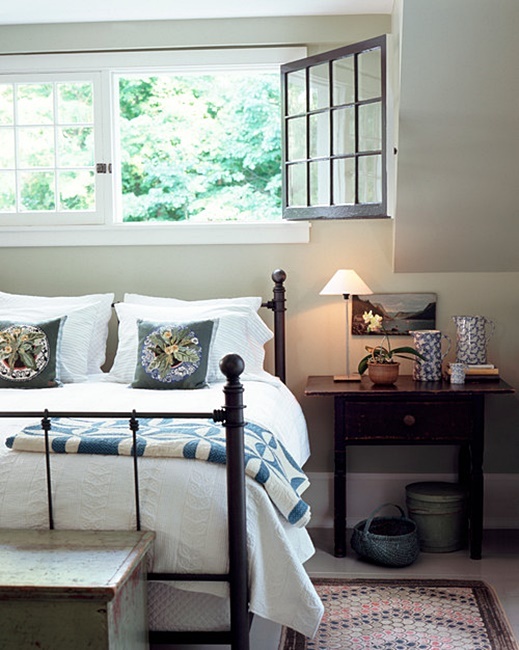 I love this farmhouse bedroom with its homespun appeal. Note the use of more floral pillows on the bed. Are you noticing the theme throughout this post? 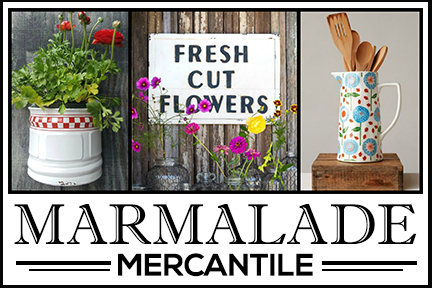 Floral patterns … which I’m going to blog about in the very near future. 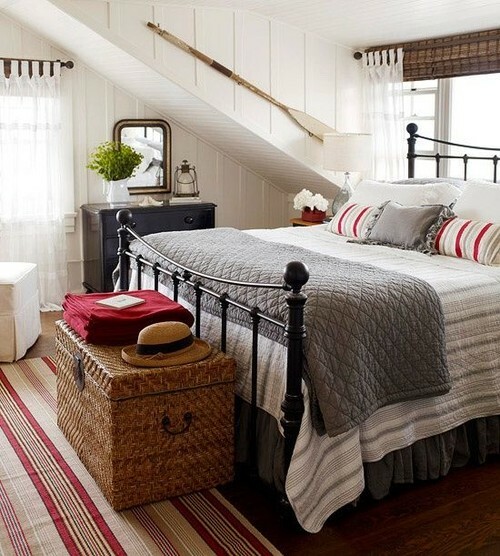 Metal beds add casual appeal to any bedroom, like this beachy style room in red and gray. What do you think of the mix of red patterns in this room? 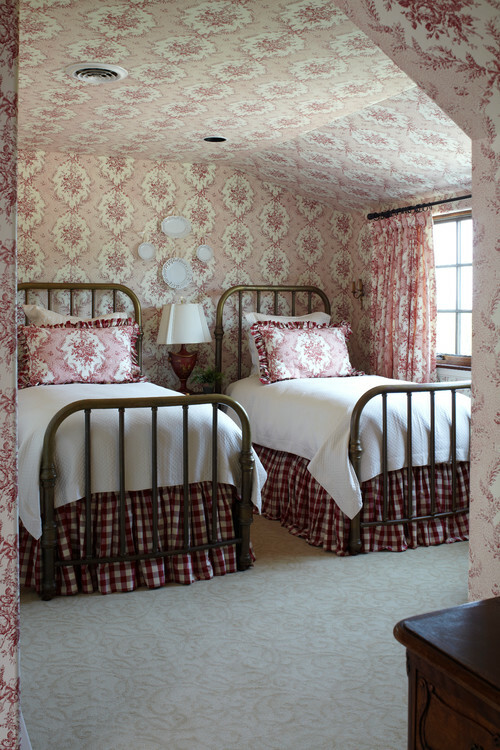 Whether or not you like the mix of patterns, I think you’ll agree that the twin metal beds make a great pairing! The cute dog isn’t the only reason I chose this picture. 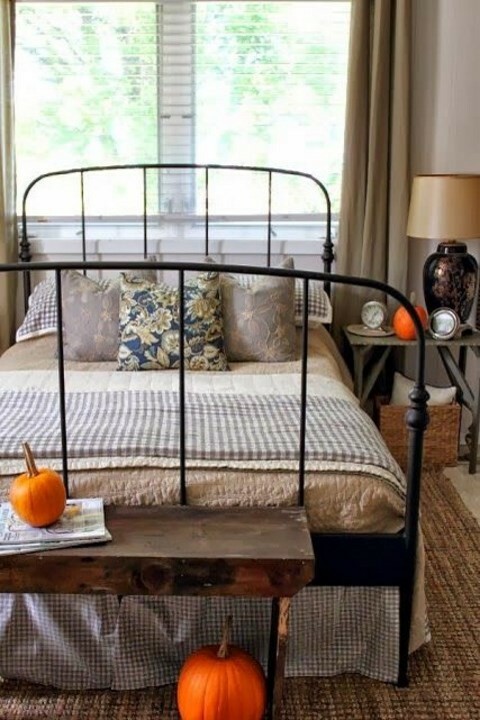 I love the iron bed with its rustic appeal! Bedroom by Shelter Island Architects & Building Designers SchappacherWhite Architecture D.P.C. 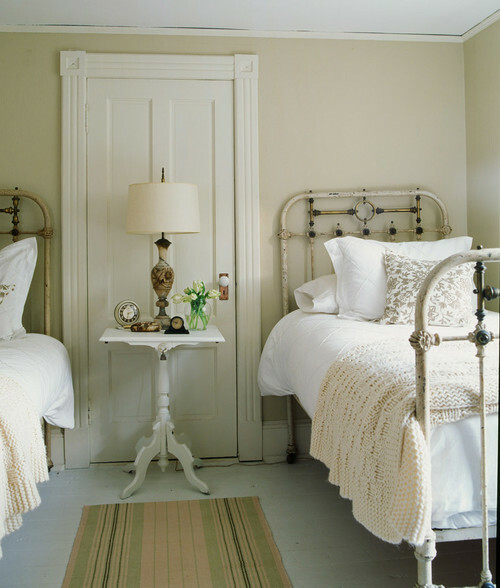 And finally, I just adore these rusty, chippy white metal beds with charming shabby chic style. Nine metal beds, perfect for you to dream in! 1 is my favorite and I have #6 pinned. Oh how I love iron beds!!!! Merry Christmas Jennifer! 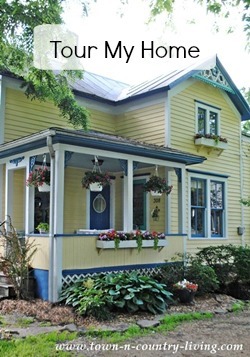 That is easy, my favorite is the Beach one and the house that goes with it. Usually you look at a photo and think ” I would change that or this ” but not a thing would I change. Love the gray with the little bit of red! Happy Holidays. My favorite one is the first one…no doubts about it! Gods blessings and peace to you and your family!! Wow, it’s hard to pick a favorite! But, I think if I had to, I would choose #3, with #2 as a close second. They are all beautiful. 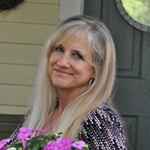 Thank you so much for your posts- I look forward to them every day! I love all of them, but my favorite is the Victorian because the frame has space to add a painting (on canvas attached with hook and loop).